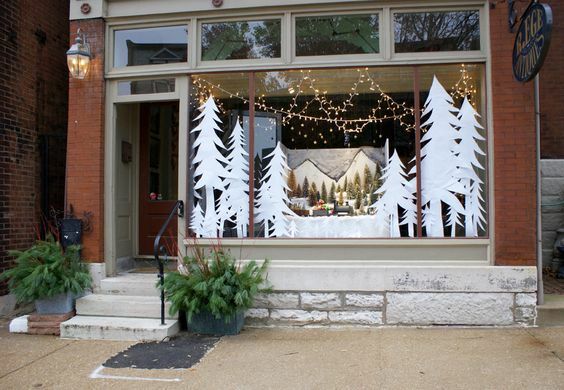 Today, let’s talk Christmas trees as holiday window decor. 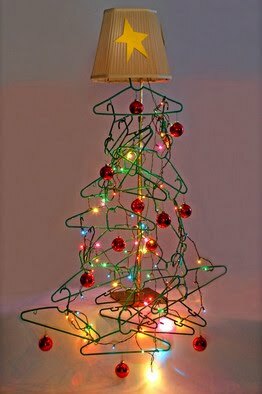 A simple floor lamp provides the structure for a plastic hanger Christmas tree! Add a few big balls, drape a strand of multi-colored lights and a star glued onto the lampshade. Keep the light in Christmas! 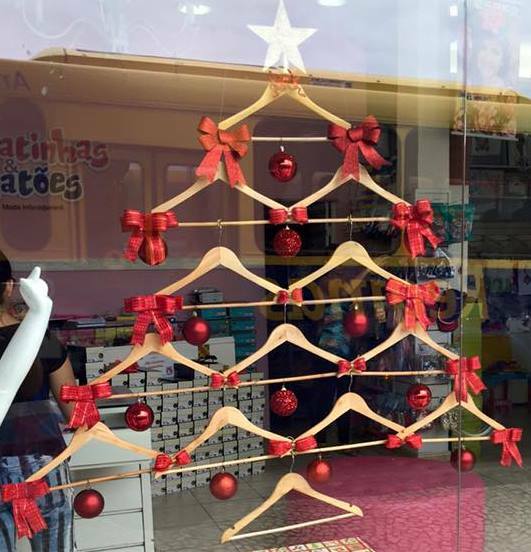 Another way to use hangers, especially perfect if you don’t want to waste floor space. This can hang flat against the window glass. Another “flat” window display, especially good as used here for a tabletop display of home goods, accessories, or anything that looks good highlighted against a white tablecloth.